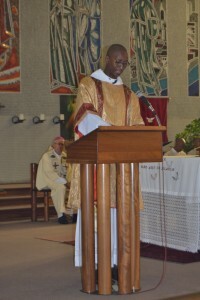 On this Monday just after having celebrated Laetare Sunday, in this time leading up to Christmas, the diocese of Bethlehem got a new Deacon. Many members of the Bohlokong Church communities – where Tumelo was involved pastorally and where he will go on to fulfil his diaconal ministry – but also from other parishes, most of the Priests together with Permanent Deacon Vincent Mohlaping (representing also the other Permanent Deacons), and a number of Women Religious joined in the celebration. 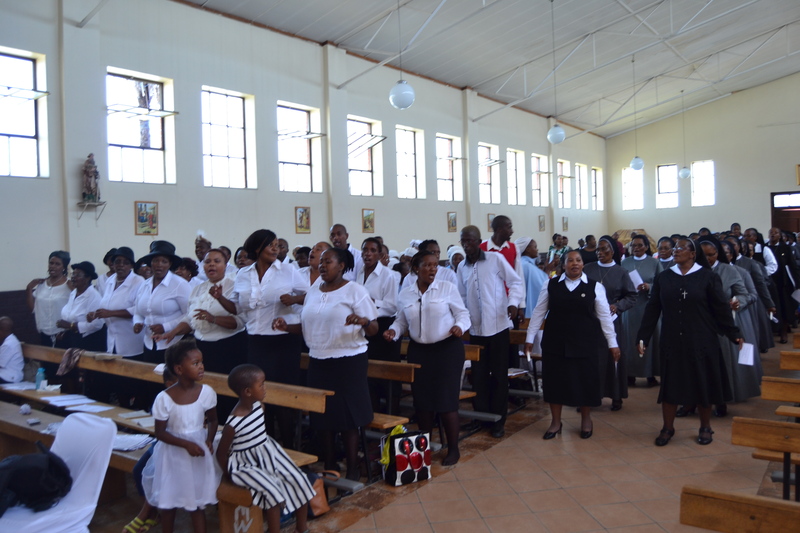 The Kgotsong choir really expressed that deep joy we all felt, myself and our new Deacon Tumelo included. In my homily I recalled that Tumelo’s way to Diaconate has been much longer than usual. 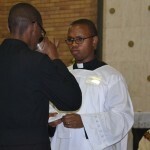 His discernment has been a long process but all along he felt in his heart this burning desire to serve the Lord and His people as a Priest. God’s ways are indeed wonderful. I am sure that his yes today to the questions I put to him came from the depth of his heart matured and enriched by a rich life experience not just enjoying life but caring for his younger brother. 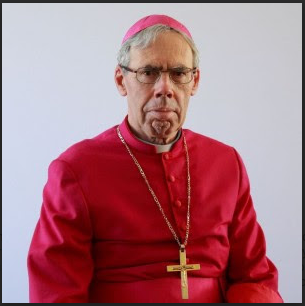 When I met with him the evening before his ordination he shared with me that he really wanted to live this God-given time to the full, not letting fall anything into oblivion. 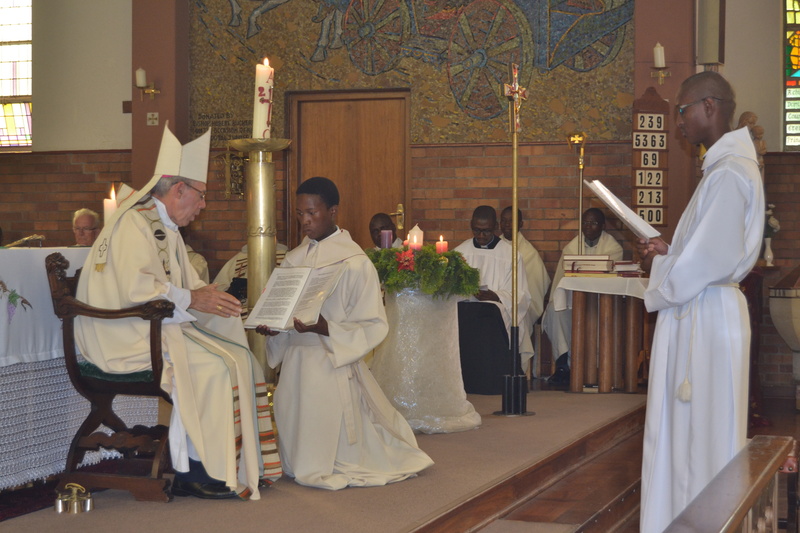 In the readings I chose for this celebration I wanted to highlight that such a calling does not come from man but from God. We only have to discern and to receive the gift in good soil where it can bear fruit in due time. A true prophet as Jeremiah recognizes this with humility and trust being aware that he is called to proclaim God’s Word and not just his own opinion. I think that this struck a cord with Tumelo who is not that shy and does not have to search for words to express his opinion. God’s Word is surely Good News but it also cuts and challenges, first of all the proclaimer himself. 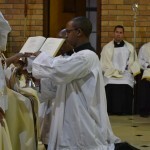 In the second reading from St. Paul’s letter to the Ephesians and in the gospel taken from St. Matthew I emphasized that, more important than the kind of activities a Deacon can be involved in, is the way he does things. What is required are attitudes of humility, gentleness, patience, mutual support and service. After the Diaconate Ordination, sharing a meal prepared by members of Vocation Prayer groups, who were already at work last night, people took time to share with one another: an experience of Church as family. 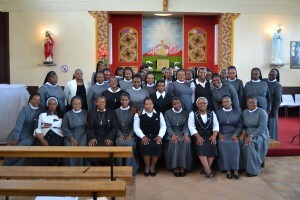 The minor orders are import, because they are the steps towards priesthood. 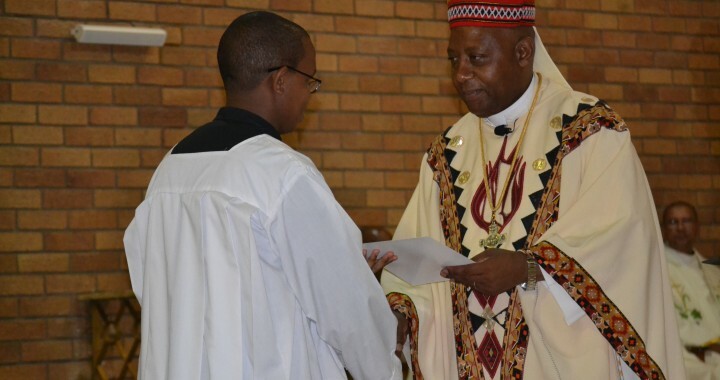 They prepare a person towards the ministry of priesthood. 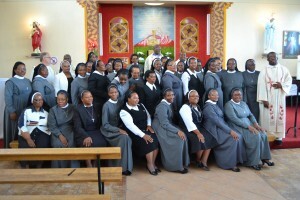 That is why one is installed to these minor orders while he is still in formation stage in order that he is able to practise these ministries fully. Last term it was the installation of lectors and now this semester in preparation for internship, there was installation of acolytes. 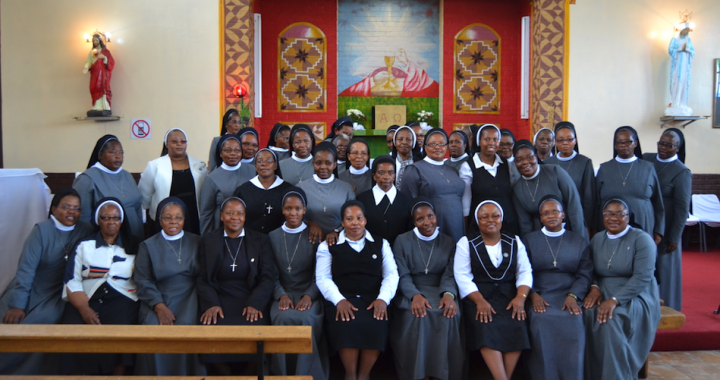 These ministries are installed to people who are doing second year of theology in St. John Vianney seminary. These installations forms put of the formation stage of the seminary. 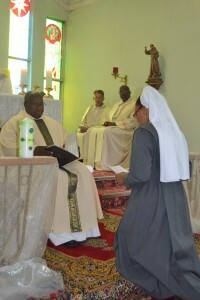 The seminary stages are about to come to an end if one approaches the altar. 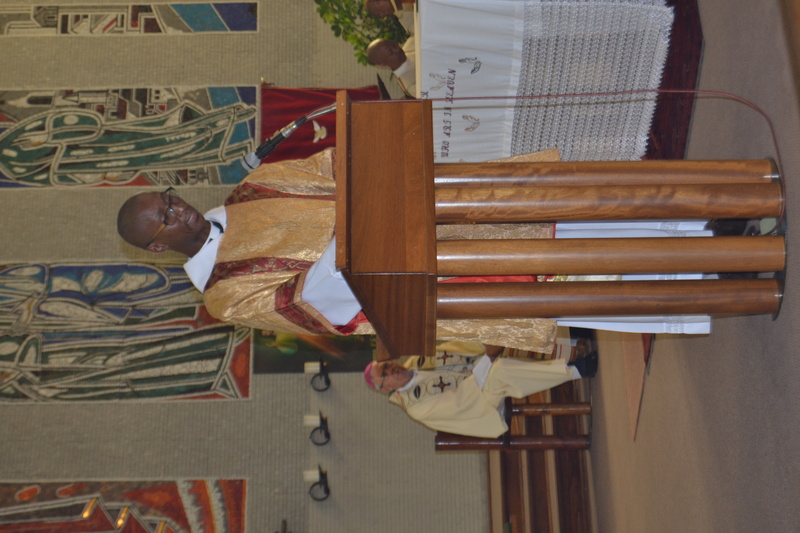 In 18 May 2016 I was installed as a lector and my work was to proclaim the word of God. 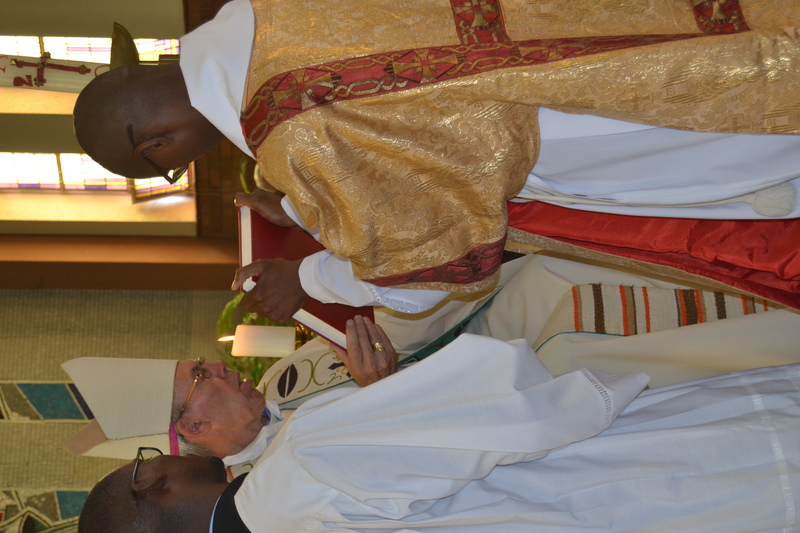 Now, I have being installed as an acolyte on 26 0ctober 2016, this mean that I must assist the bishop, priest and deacons at the altar. 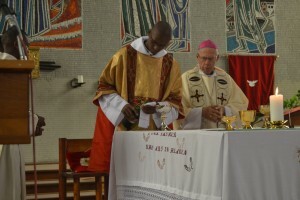 It also means to help distributing communion to the faithful and the sick. During the installation the bishop give us the challis that has the wine and the bread as a sign to work closer to the Eucharist. This is a sign that we need to prepare the altar for the celebration of the Eucharist. His excellence Bishop Victor Palane of the diocese of Klerksdoorp was the one who installed us to this ministry of acolytes. 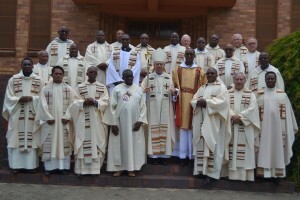 There were about 18 brothers or seminarians who were installed. 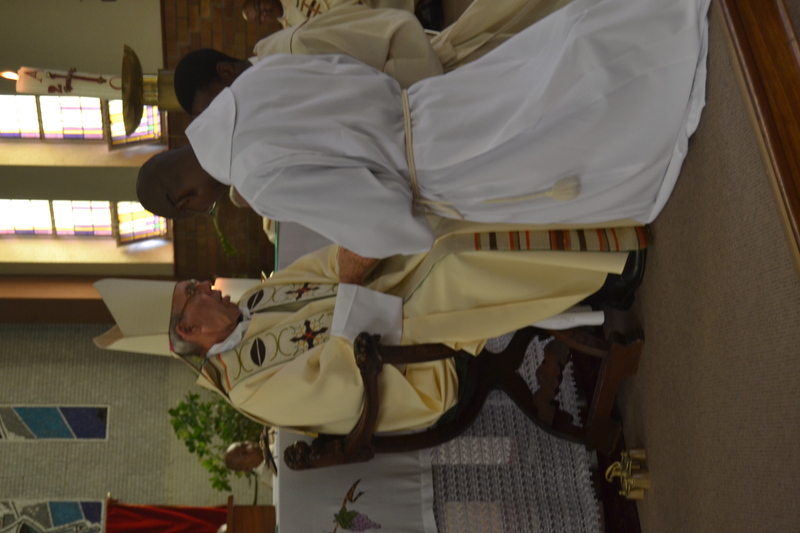 This is the minor order that leads to deaconate. It is significance to us as we about to go for internship. 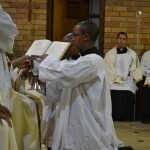 Ministry of acolyte is the last minor order that leads to the ordination. 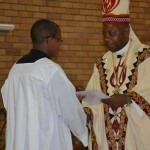 It was a great joy, as it is a step closer towards the ordination. Maybe it’s because we’ve just adopted these habits, maybe we’re just lazy…let’s take a bit of a tongue-in-cheek look at some common practices that may need correction during the Holy Mass. 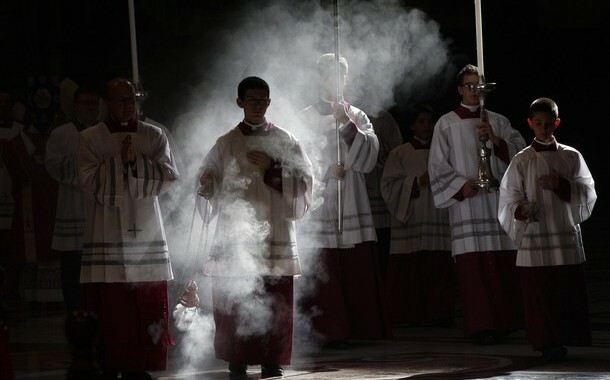 Here are 10 things you might be doing wrong at mass. Seriously, what’s the deal? Why can’t we just wait ’til we actually finish the Sanctus before kneeling? Do you love kneeling that much? Do you think being the first person to sit will get you a prize? “Hey Bill, what’s that medal for?” “Well, I sat the fastest after the collect at a mass back in ’85” Yeah, not gonna happen. Let’s make a point to do things together next time. Cool? Cool. AKA the “Judas Shuffle”. I’m sorry, did you think Mass was over as soon as you received the Eucharist? It’s as though some people think the proper response when receiving Holy Communion isn’t “Amen”, but “Goodbye”. 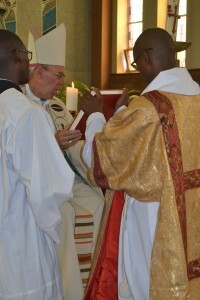 We should observe proper decorum for Mass: depart after the celebrant. I see this constantly! Genuflecting is the most pronounced gesture we employ at Mass, so it is reserved for the highest good — the Eucharist Himself. Where’s the Eucharist? In the Tabernacle. Some might be in this habit because the tabernacle is often directly behind the altar. Before getting in your pew, if and only IF the Tabernacle is visible, genuflect toward it. If it’s not in view, bow toward the altar. Now you know. And this applies outside of Mass too. 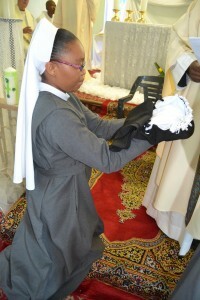 Wherever bowing is called for in the Mass (when the congregation is incensed by the thurifer, in the middle of the Creed, etc.) it is always a “profound bow”, which just means that you bow from the waist. 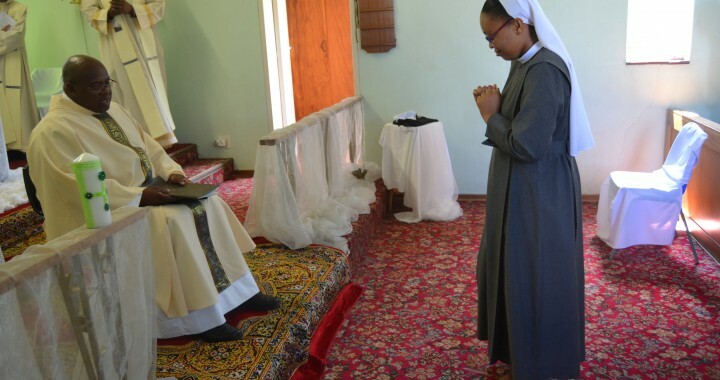 The only time that we are told to bow our head only is “when the three Divine Persons are named together, and at the names of Jesus, of the Blessed Virgin Mary, and of the saint in whose honor Mass is being celebrated”. No. Just no. 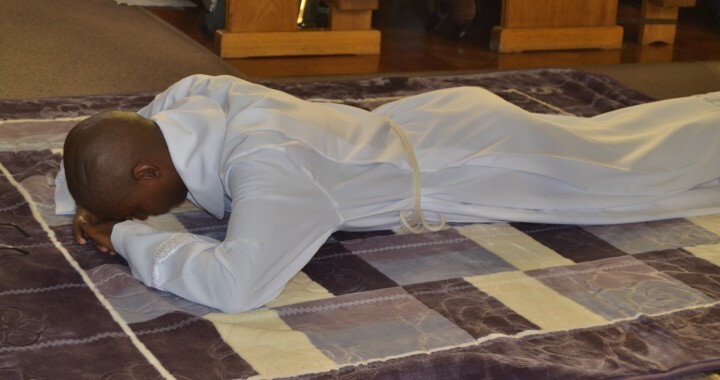 You’ll see priests assume the Orans position (hands extended to the side) a few times; it is a posture that indicates that he is praying on our behalf, but not in the way that I pray for you. 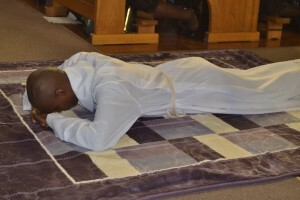 He’s praying on our behalf in persona Christi capitas. 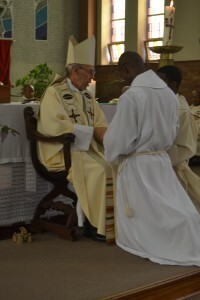 This is why the rubrics don’t allow for deacons to adopt the Orans posture, and it’s the main reason we shouldn’t either. What is this, social hour? Not only is this obnoxious (my opinion), but it’s illicit. The rubrics tell us that it is “appropriate that each person offer the sign of peace only to those who are nearest and in a sober manner”. We all love you, but stay where you are. I can hardly believe this needs to be said, but it does. 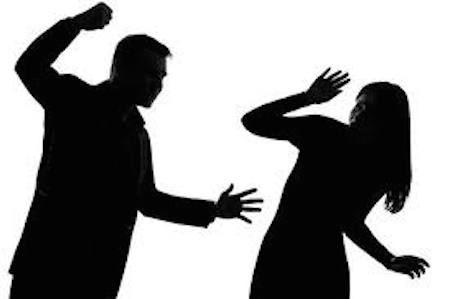 When the priest, deacon, or EMHC elevates the host or chalice and says, “The Body/Blood of Christ”, you had better not be silent. It is imperative that those who receive can affirm belief in the Real Presence, so do what the Church asks. Say “Amen”. Amen? Amen! RING. OUT. Skill is not a prerequisite. Just, please, sing to the Lord. Now, this one is more important than carrying a tune. How does somebody think that active participation in the liturgy is going to be accomplished without actively participating in the liturgy. Yes, it is primarily about interior disposition, but habitually refraining from the responses is a pretty solid sign of a poor disposition. Again, we worship together. We’ll be looking at more of these liturgical no-no’s in future posts. (Round 2: 10 More Things You Might Be Doing Wrong at Mass) The rubrics for the mass can be found in the General Instruction for the Roman Missal (GIRM). Check it out. We are all called to be true witnesses of Christ by our lives. What would Christianity be without true witnessing to the Person of Christ? This was a question which struck me on the 26th -27th of February 2016 while I was attending a workshop on religious and concentrated life held in Ladyband Parish by the Newcastle Dominican sisters from the Diocese of Dundee. I realised that witnessing is what makes us the Church “The body of Christ” visible in the world. By being visible we further become more that what we are “The Body of Christ”. In other words in becoming more than what we are, we embody Christ, his love, his compassion, forgiveness and his life, not only during this Year of Mercy but throughout our lives. And how do we manifest this? By sharing what we have received with our brothers and sisters as St Paul says, “For I handed over to you as of first importance what I in return have received” (1Cor 15:3) and by being united in love and in faith. It is in sharing our faith experiences that we grow towards Christ in our different communities. Thus, in sharing our faith experiences we do not only grow towards him who calls us but we make he who calls us present and indeed the WORD becomes flesh and it tabernacles in us. This is a most vital form of witnessing because it fulfils the promise of Christ to his disciples “By this everyone will know that you are my disciples, if you have love for one another” (Jn 13:35). 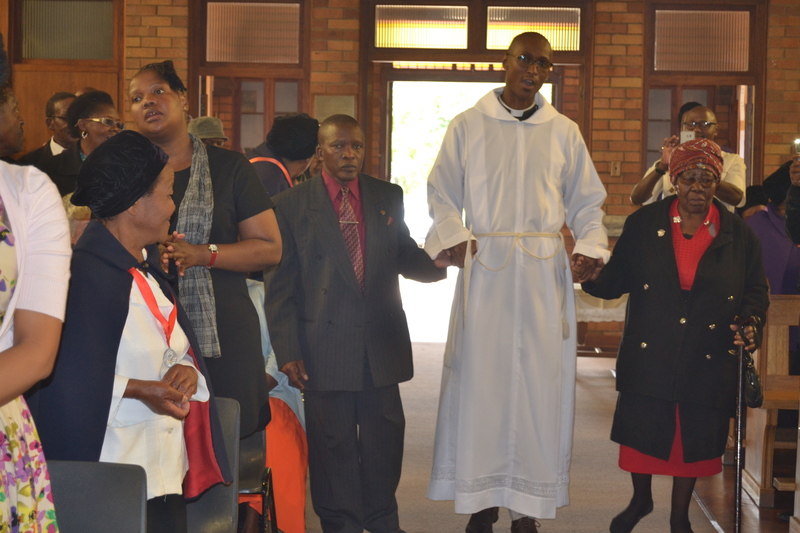 The workshop was organised by the Parish Priest Rev Fr Mosebetsi Mokoena. It was made clear and emphasised by the Parish Priest that the workshop was for all young women in our parish not only for those who feel God is calling them. 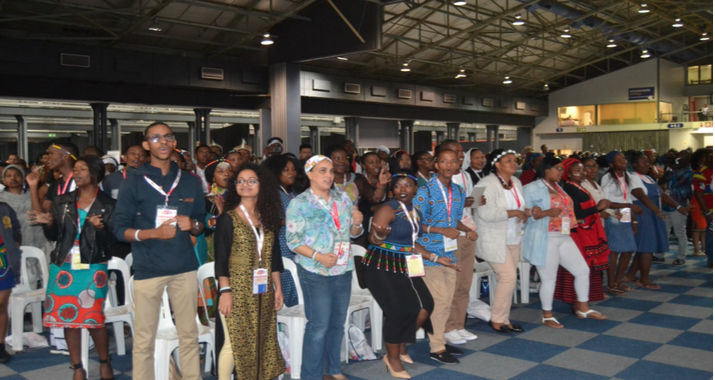 The reason behind such a wide invitation was that, we are all called to witness to Christ by our lives thus it is of great importance to attend such workshop to deepen our faith by listening to others who have encountered the Lord in a special way. The workshop was facilitated by four Dominican sisters, two of them were finally professed and the other two were novices. 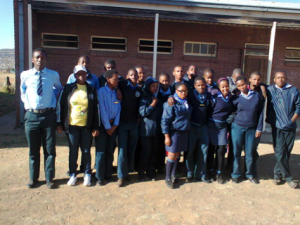 The number of the young people who showed up was 54 and they were assisted by the vocation prayer group members. The workshop started on Friday the 26th in the evening and it ended on Saturday the 27th afternoon . It was a good faith sharing experience. 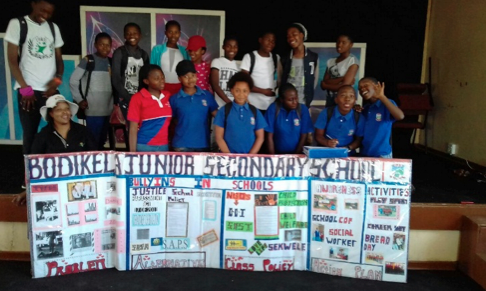 We thank the Lord for all this and we like to extend our heartfelt gratitude to the parents for allowing their children to come to the workshop and we also thank the young people for showing up . 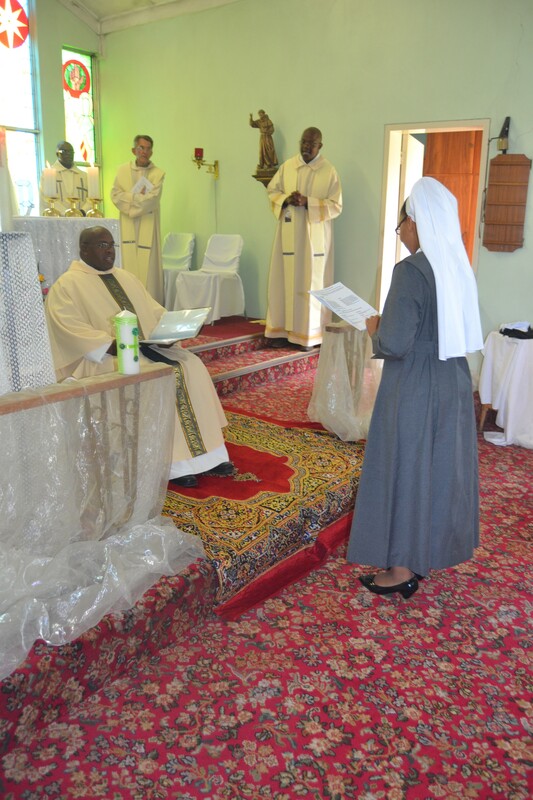 We hope and pray that what God has initiated through the sisters may he bring it to the fulfilment. Mary Mother of vocations Pray for us! 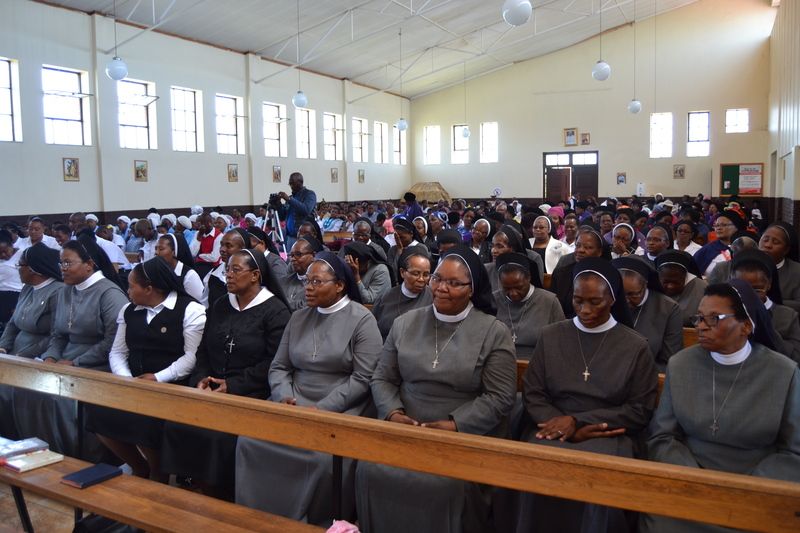 It was on the 7th of February at Mofumahadi wa kgotso cogregation, in Bohlokong parish. All Religious congregations, in the dioces of Bethlehem were present. Srs of st Paul, sacred heart, Holy names and Good Shepherd. During Mass srs were the ones who were doing the readings, bringing gifts, doing the intersessions and they renew their vows. 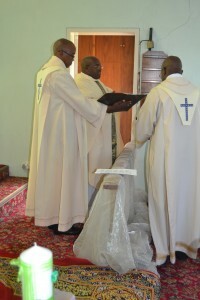 During offatory they brought their logos according to their respective congregations. 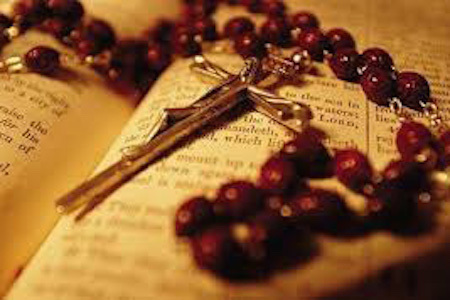 The letter of Pope Francis Said the congrdgation should go back to their roots and should read the signs of the time. Wake up the world! Before final blessing they explained to the congregation what does those logos mean to their congregations, respectively. 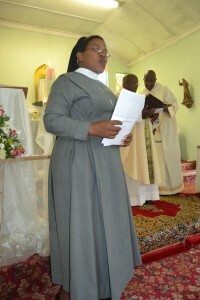 Ka Mantaha wa la 25 Pherekgong 2016, kopano ya Baitlami ba Paulosi ya halalelang e ne e amohela Monovice Sr. Maria Immaculate Nkhatho mokgahlelong wa dikano tsa hae tsa pele. Sehlabelo sa Mmisa se ne se eteletswe pele ke Ntate Mosebetsi Mokoena. Dibini e ne e le Baitlami ba kopano ya habo ya Paulosi ya halalelang ba ileng ba bina hamonate kannete. 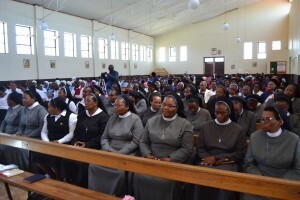 Motsamaisi wa mosebetsi e bile Sr. Maria Christophora Lephoto ya ileng a etsa mosebetsi o mkgethe kannetw. Hgothatsong ya hae, Ntate Mosebetsi o eleditse Moitlami ya motjha ho tsamaya maotong a Paulosi ya halalelang le ho latela pitso ya hae ka botlalo, le ho ipeha tlas`a tshireletso ya hae. 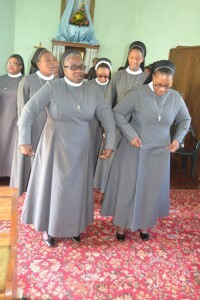 O eleditse Sistere ho rapela haholo le ho rapella kopano ya hae kamehla. Bakriste ba phutheho ya habo ba ne ba le teng ho tla rapela le ho leboha Morena Modimo mmoho le Sistere. 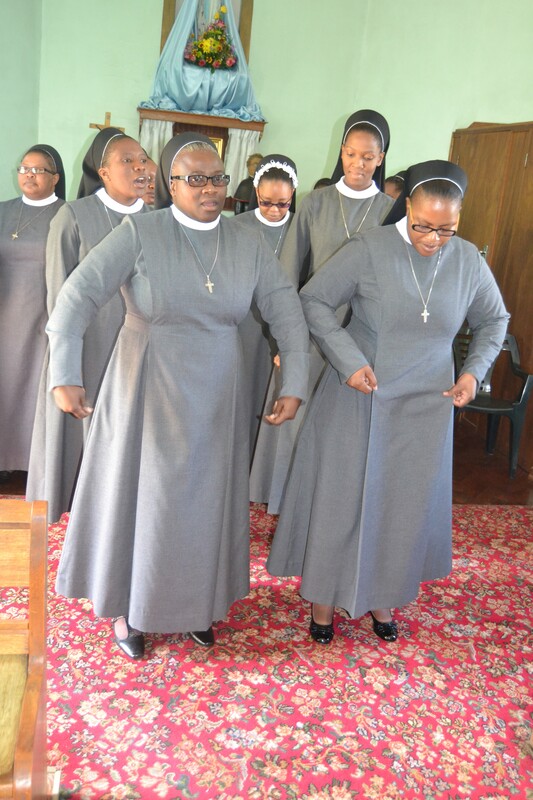 Sister Immaculate, ka moo a bitswang ka teng, o ekeditse lenane la Baitlami ba batjha ba kopano ya habo ho ba ba leshome le motso o le mong (11), le palo ya Baitlami ba Paulosi ho ba mashome a mararo a metso e mene (34). Batswadi ba hae ba ne ba le teng ho tla tlotlisa letsatsi leo. 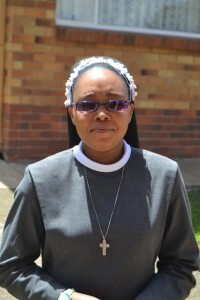 Sr. Lidwina Mosikili o ile a leboha bohle ba atlehileng hot la moketeng mmoho le batswadi ba ileng ba fan aka lekgabunyane la bona ho Morene Modimo kopanong ya Baitlami ba kopano ya Paulosi ya halalelang.